Held in Slawston, between Market Harborough and Uppingham, Blaston Show attracts exhibitors and spectators from across the region. There is something to appeal to all family members, from children’s entertainment to vintage cars and tractors, cutting edge farming technology, diverse shopping outlets and animals – not to mention a wide range of food and drink outlets. This year’s show takes place on Sunday 24 June, and will again provide a great day out for all the family. 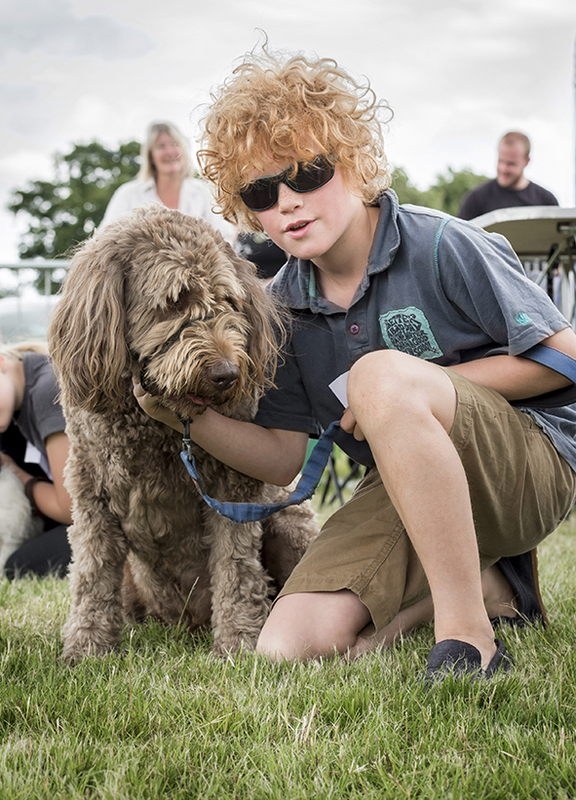 The dog show is a big draw, with over 100 dogs taking part each year. Both Kennel Club registered and Heinz 57 varieties, working dogs and family pets, are catered for, with classes ranging from Best Veteran to Waggiest Tail and the very competitive Best Biscuit Catcher. There is a wide range of equine classes for riders and handlers of all ages and abilities, everything from show jumping, showing and in-hand classes to the ever popular ‘Family Horse or Pony’ and even a Mature Riders class for the over 45s. Riding for the Disabled members will be taking part in the Handy Pony competition, heavy horses are returning for an in-hand class and there are new classes for riders aged 10 and under. Blaston Show is affiliated to Equifest, and is also a qualifier for the TSR Showing Finals. Away from the four-legged action, the more mechanically minded members of the family can enjoy the Classic and Vintage Car Run, starting at The Fox Inn, Hallaton. Cars take a 27 mile tour followed by a grand parade and prize giving, and entries are always strong. Classic tractors also parade in the main ring. Then there is the terrier racing, tug of war and bale rolling, a parade of hounds and a modern farming display plus plenty of opportunity for a bit of retail therapy too – all in all a perfect family day out. Entrance costs £15 per car and gates open at 8am. A significant proportion of the money raised on the day will be given to local charities, with Rainbows hospice for children and young people and VASL this year’s principal beneficiaries.